For many historians of the Indian subcontinent Mr Jinnah’s role both as a leader and a statesman in pre-partition India is controversial. Personally, I have never accepted even for a second his communalist perspective that led to the demand for Pakistan. Right from the start, the “Two Nation Theory” was hollow and untenable, which in practice became a dead albatross round the necks of the people of the Indian subcontinent and is still choking them. During the Second World War, the British used the leaders of the Muslim League to weaken the demands of the Indian National Congress for independence when Gandhi launched the Quit India Movement and a major civil disobedience movement became a threat to the British in India. At that critical juncture in the national struggle for India’s independence, the British were able to resort to lure the leaders of the Muslim League to reject the struggle for independence and side with the British, which they did under Mr Jinnah. Thus the groundwork for the partition of India was becoming a reality under the patronage of the British. That’s exactly what they did in 1947 and divided India on Hindu-Muslim lines as two different nations, thus defying both common sense and practical issues involved in such a partition plan. The religious card had served Mr. Jinnah well and he succeeded in his ambitious plans. But at what a cost! The Muslims spread throughout the length and breadth of India were left in an extremely vulnerable position and the subsequent history of the subcontinent has shown how the Indian Muslims become marginalized and left at the mercy of Hindutva forces and militant reactionary Hindus. In fact, these people were sacrificed for a cause which proved to be a disaster for all. 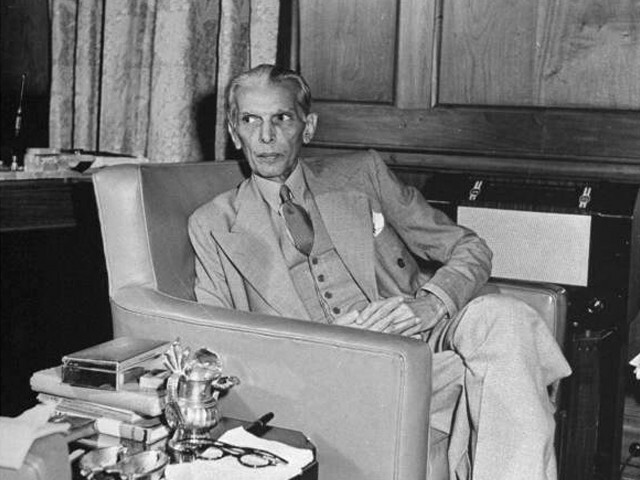 Now coming to Mr. Jinnah’s role as the Governor-General of the newly-established state of Pakistan, Mr Jinnah was aware that the reality of Pakistan as a state was different from the rhetorical propaganda that was used for the creation of such a state before the partition of 1947. This new country didn’t have only Muslims, but also had large religious minorities of Hindus, Sikhs, Christians, and followers of other faiths! He could no longer repeat the previous slogan of Pakistan only for the Muslims. Now, Pakistan had followers of different faiths. To meet the needs of all religious communities, he made his famous speech in which advanced his views for a state where religion was not to affect the democratic state or to impose only one religion on the people of this country. That was a realistic assessment of the situation in the new country. But he was an ailing person; he didn’t live long enough to lay the foundations of any such policy as the guiding principles that could have led Pakistan in a direction than the one it followed after his death in 1948.